Creepy Snow and Beast. Well... this is kinda the sequel of another image made por me with the beast that follow Snow White in the forest... poor Snow! I know, it's really creepy, sorry XP. HD Wallpaper and background images in the disney crossover club tagged: creepy blood halloween crossover disney snow white beast. o my god!! 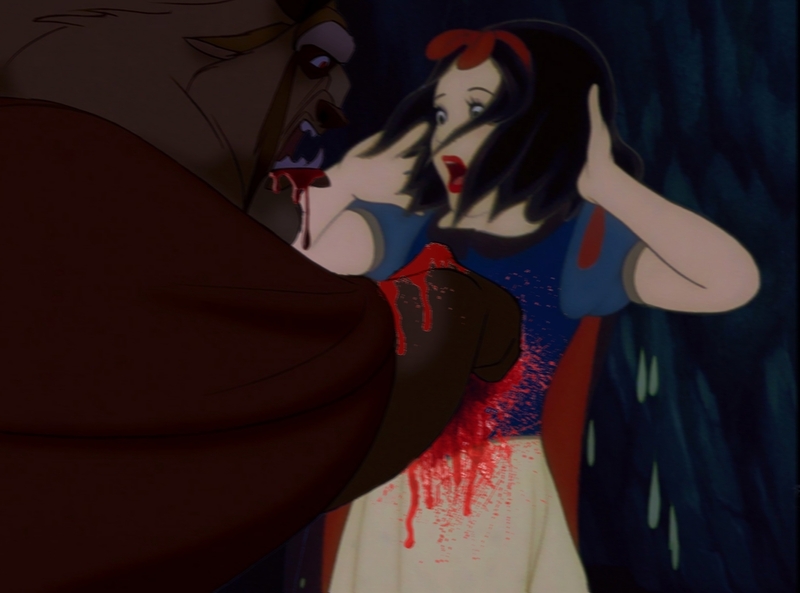 !the beast is really bad... i dont like him anymore!!! Damn, the Beast finally lost it. He's possessed! I know it! AHH! This image will leave me scarred for life! I don't think i'll be able to sleep tonight!